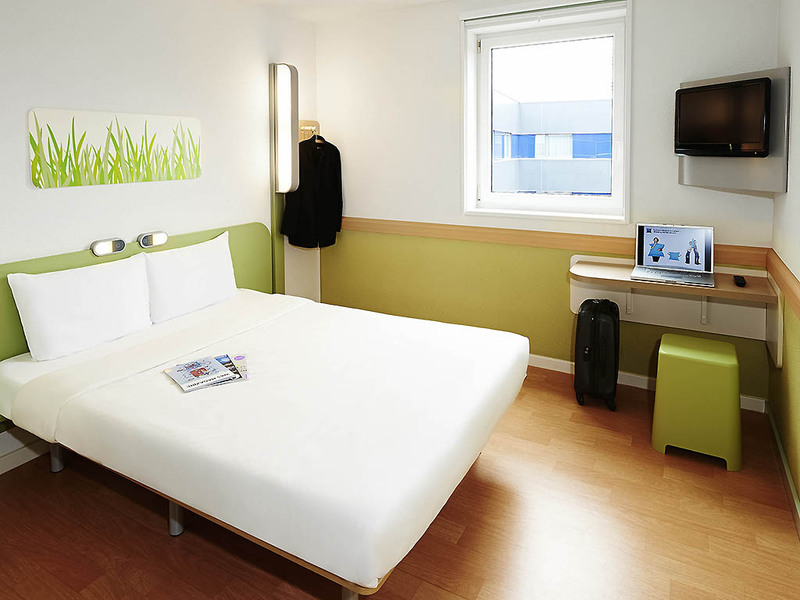 Between the Channel and the Atlantic, the ibis budget Pontivy (formerly Etap Hotel) is perfectly located for exploring Brittany at an affordable price. It offers reasonably priced rooms for 1, 2, 3 or 4 people with private shower and toilet. Air-condition ed economy hotel with free WIFI, delicious unlimited buffet breakfast, Courtepaille restaurant with 15 percent discount, private car park and enclosed garage. Triple room with a double bed and a single bunk bed.